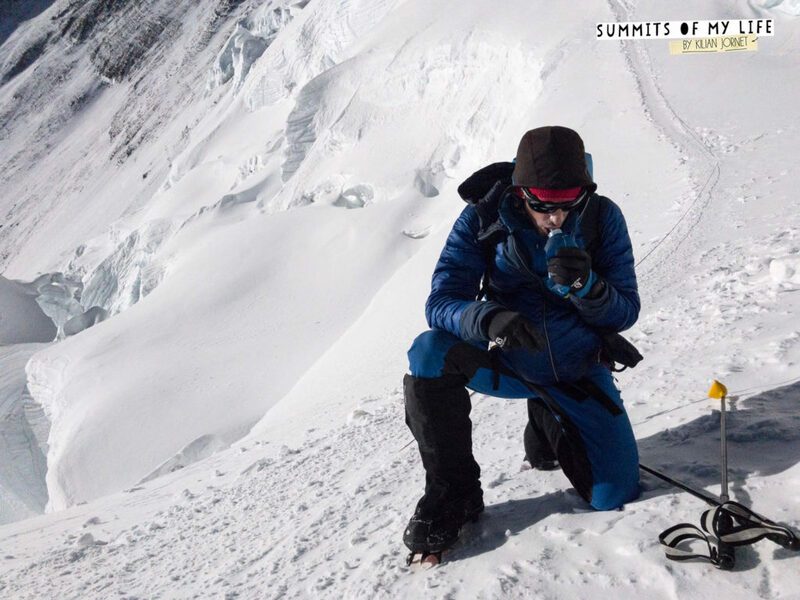 38 hours after starting the temptative, he has arrived to the Advanced Base Camp of Everest, he explained: “Until I reached 7.700m I felt good and was going according to my planning, but there I started to feel stomach ache, I guess due to an stomach virus. From there I have moved slowly and stopping every few steps to recover. However, I made it to the summit at midnight”. 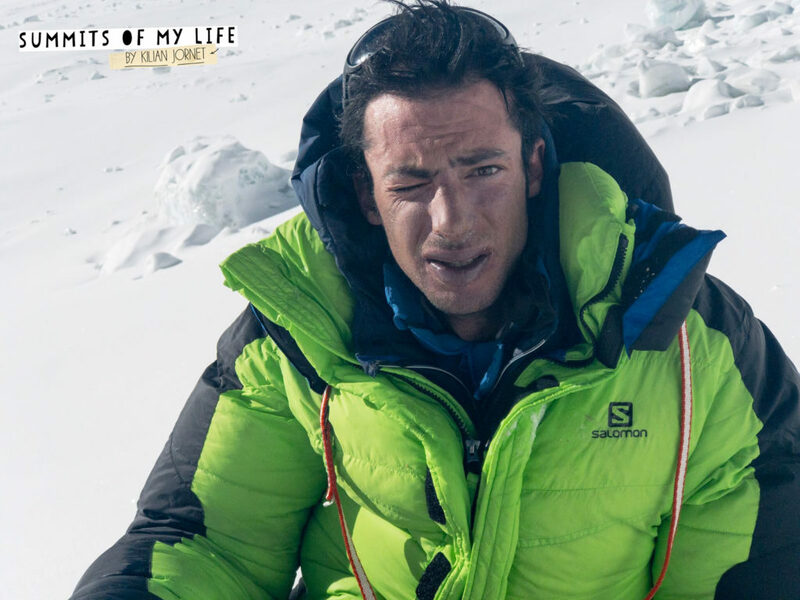 Due to this indisposition, Kilian Jornet choses to conclude the attempt, and stay in the Advanced Base Camp and not returning to Rongbuk as planned. 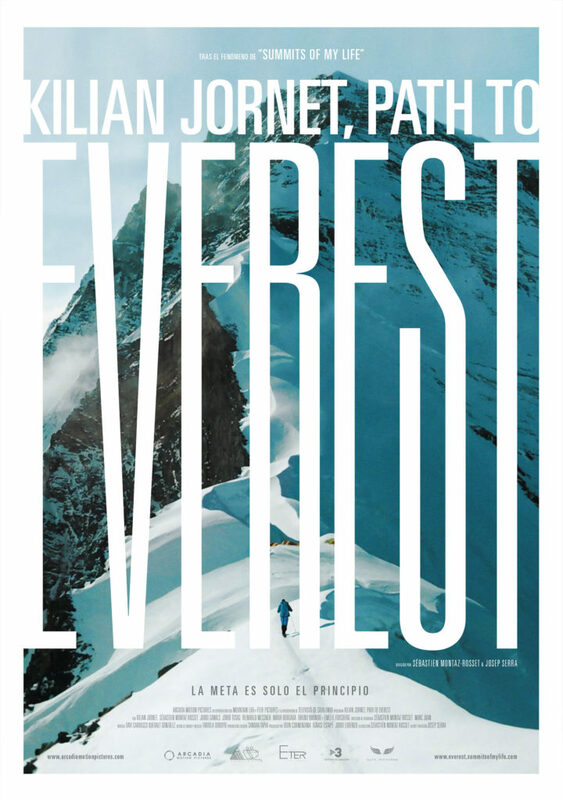 Today, May 20th, Kilian Jornet has begun his personal project of climbing the north face of Everest. The Cerdanya athlete aims to set a new benchmark for the ascent and descent of the world’s highest mountain (8,848m) without oxygen. 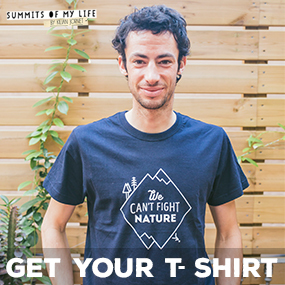 The challenge is part of his Summits of My Life project which since 2012 has seen him to climb mountains around the world in a minimalist and pure style. The attempt on Everest began today at 10PM local time at the Base Camp on the north face of the mountain at the ancient Rongbuk monastery (5,100m). 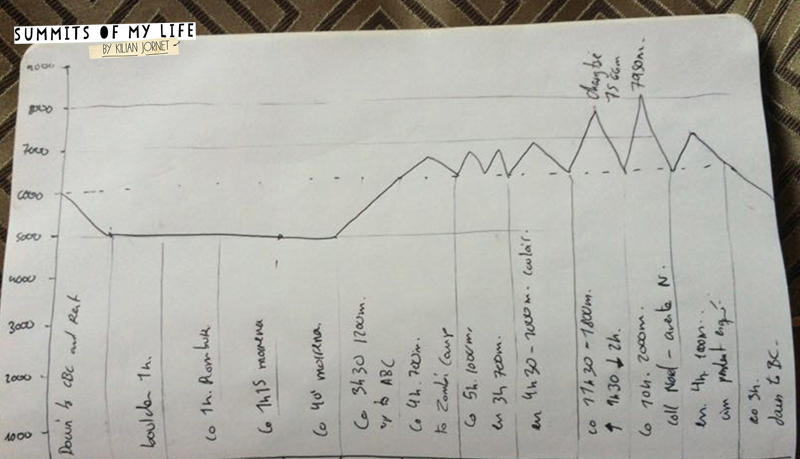 From there Jornet will climb to the Advanced Base Camp at 6,500m and then try to reach the summit at 8,848m. In the end, Jornet has opted for the normal route for the ascent. The build-up of ice in the Norton corridor, his intended route, has forced him to opt for a safer one. In his attempt, Jornet will not carry oxygen nor use fixed ropes and will carry the lightest material possible. No one has attempted this particular challenge before and this will determine how long it takes Jornet to complete this difficult attempt. 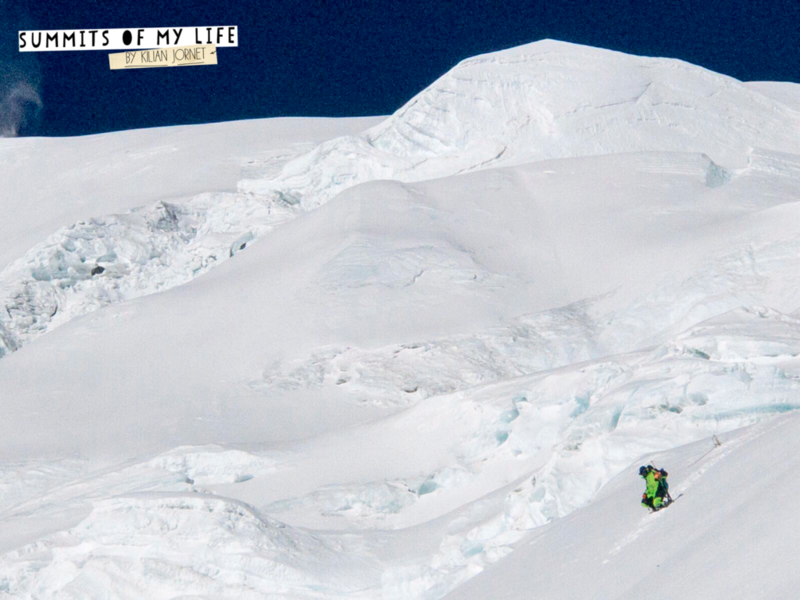 The Summits of My Life channels will publish updates on the expedition. We arrived in Kathmandu on August 7. We had what was effectively a one-way ticket, although the aim was to reach the summit in between four and six weeks. Everything depended on our acclimatisation and the conditions on the mountain, but we felt good. We were excited and keen to begin the challenge. After several weeks of preparation in the high Alps, we flew to Kathmandu. The initial idea was to go directly to Rombuk and the Base Camp, but due to various bureaucratic problems we didn’t arrive in Tibet until August 16. Before going to Tibet we took advantage of this time and went to Langtang so as not to lose our acclimatisation and to see how the reconstruction work in the valley was progressing after last year’s earthquake. We climbed the valley from Syabru Besi to Kianjin Gompa. We noticed that the area was coming back to life. The lodges were opening again and the most affected villages, such as Langtang, were beginning to rebuild themselves after the winter and the monsoon, hoping that the tourist industry, still very small in this valley, would resume and get back to the levels before the earthquake. The project that we launched together with the NGO SOS Himalaya has led to some homes being built in Langtang, but there’s still a lot to do. We also took advantage of this week in Langtang to climb to an altitude of 5,500 m.
After a long journey to Tibet, on August 19 we finally arrived at Rombuk, where the road ends, just in front of the north face of Everest. It was a long journey but it was worth the effort: from this side the mountain appears to be a perfect white pyramid crisscrossed with strips of rock. We spent two days in Rombuk and climbed some summits up to 6,500m. On the 22nd we climbed up to the Advanced Base Camp (ABC) with 12 yaks, Sitaram, the agency’s Nepalese cook, and Namste, the Tibetan kitchen boy. 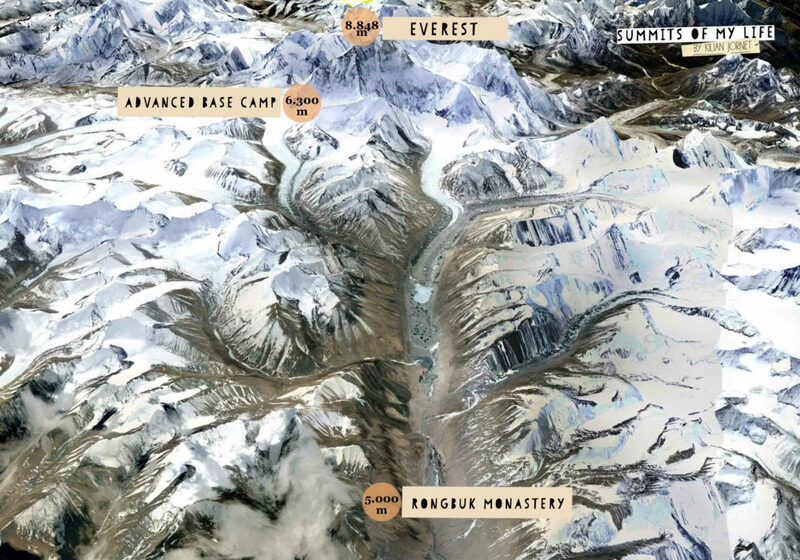 The state of the moraines made it impossible for the yaks to arrive at ABC, known as Zombie Camp, which is at 6,500m. In the end, we left them in the moraine, at around 6,000m and 5km from the ABC, where we put up the tents at what was to be our encampment for the expedition. The following week it was time to acclimatize at altitude. We felt good and as the weather was sunny and warm and not windy we were able to climb rapidly to 7,200m towards the north pass, towards Rapiu La,, climbing to 7,700m on the north ridge. As we moved alone and each at their own speed, we looked for the safest routes in terms of cracks and seracs. On the 29th I climbed to 7,700m looking for a line on the left of the seracs on the north collar: specifically on the north-northeast face. If the conditions on the north northeast face were perfect, with snow and ice covering the boots, there was clearly a quantity of fresh snow that had fallen on the ridge during the monsoon. That day I got up to 7,700m. It’s an incredible feeling to be alone on such a huge mountain. There was a lot of snow which made it difficult to move forward but, in terms of safety, conditions were good. There was no risk of avalanches and the weather was stable. 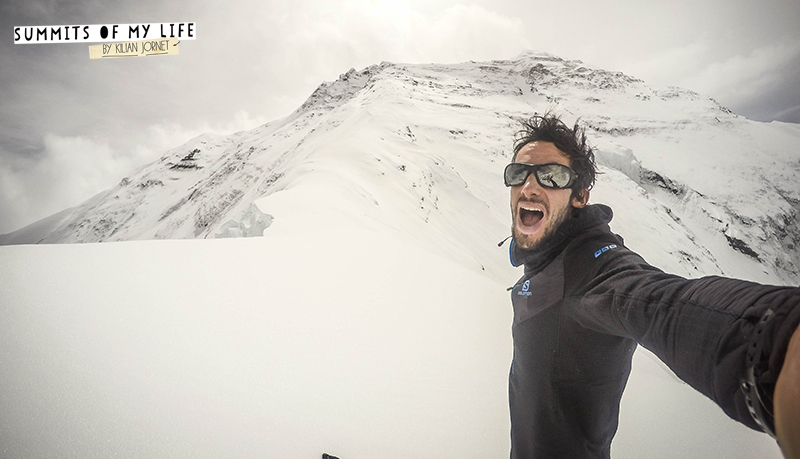 Two days later, on August 31, we decided to have one last day of acclimatization, and try to reach 8,000-8,200m. This time we went up with Seb and Jordi at three in the morning following the moraine from our camp and at six in the morning attacked the north-northeast face. We decided to climb by a new route to the right of the face, on the spur of the channel to the right of the Russian path and emerging at 7,900 m to the right of the pinnacles. We made good progress in perfect snow and ice conditions, with an average incline of 55° and some sections on ice. At midday, at 7,600m, the weather changed unexpectedly. There was a heavy snowstorm and with it a high risk of avalanches. After this attempt, we spent a few days relaxing in Rombuk, waiting for better weather to return. We wanted to get to the summit as everything seemed to be going well. During those days the monsoon intensified, there was a lot of wind and constant snowfalls. On September 8 it seemed the good weather had arrived and we tried to reach the summit with Jordi and Seb. We knew that the conditions were difficult but we wanted to try it. We left our camp at midnight. 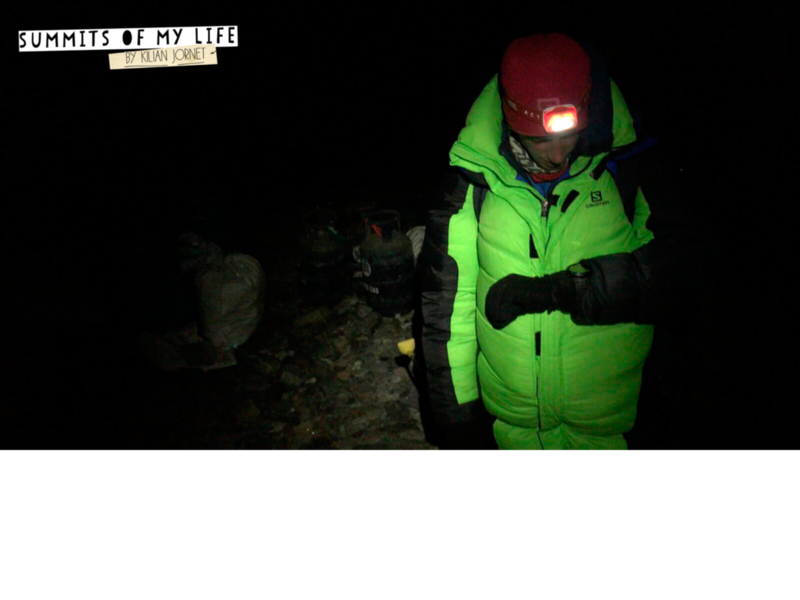 At three in the morning we reached the north-northeast wall, quickly passed the rimaya at 7,000m, and we realized that the wind had created large plates and we decided to descend. We analyzed the situation and it was clear that over the past few days a lot of snow had accumulated on the mountain and the wind had formed large plates, not only on the north-northeast face but also on the ridge. Bearing this in mind, it was clear that things had to change radically if we were to attack the summit in safety. 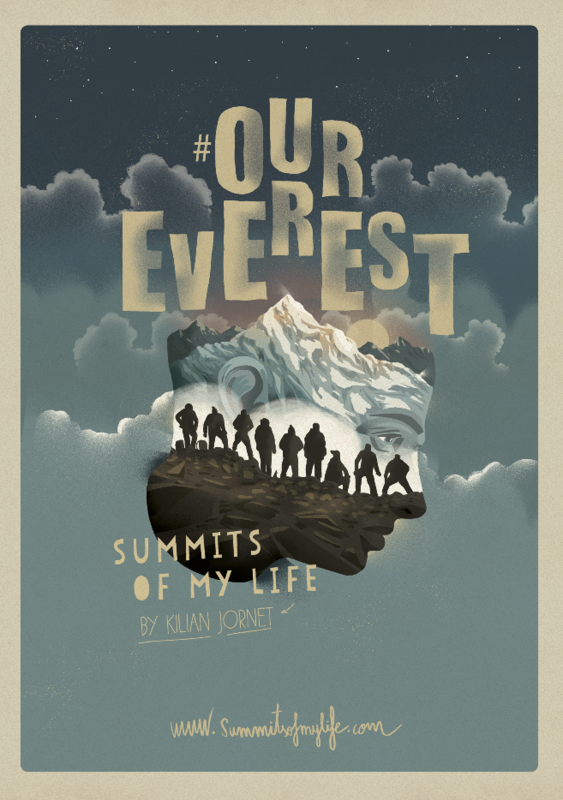 We had to postpone the challenge of climbing Everest because a rapid ascent would expose us to the risk of accidents. The weather conditions were not promising. We had to wait for the wind to come and blow away the snow as well as waiting until the weather stabilized in order to be able to attack the mountain. This involved waiting for new permits and would increase the effort expended waiting on the mountain. Still, our permits still had a week to run and we took the opportunity to carry out some activities in the area. On September 11 I went to Chang Tse, at 7519 m, from the camp. On the same day Seb skied on Changzheng. 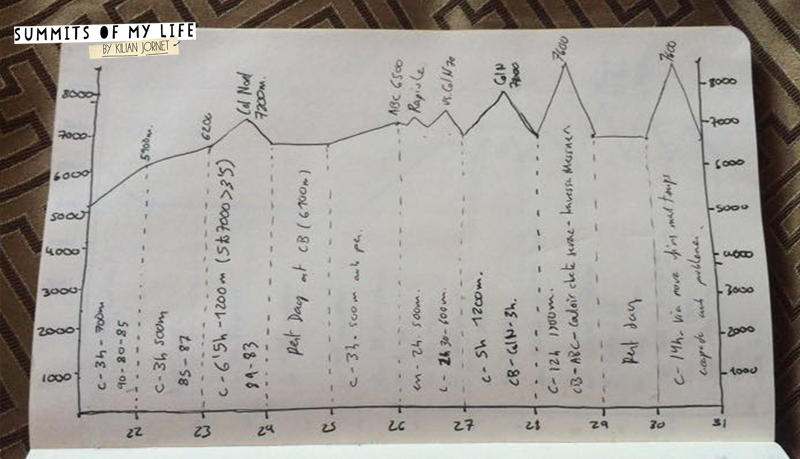 The following day I wanted to climb as high as possible on the normal route towards Everest. There was a lot of snow up to the N collar but progress was fluid. The N ridge was covered in snow and the ice sheets broke three times on the way to the N face. 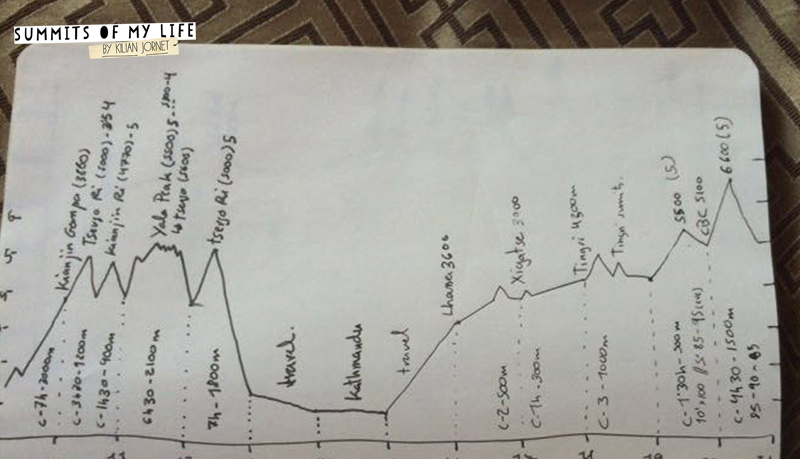 However, they were hard and I made rapid progress and reached 7,950m before midday. It was then that the weather worsened and it began to snow. I descended quickly, following the path of the ascent, and by 3pm was once again in the camp. That’s when we left Everest for another occasion. The following day, September 13, we went with Vivian and Seb to ski on the mountain in front of our camp, between Changtse and Changzheng, at 6,910m. Time was running out and conditions on the mountain weren’t changing. The unstable weather continued and there continued to be a high risk of avalanches on the higher reaches. We left the mountain feeling somewhat frustrated. We were well acclimatized and could climb without taking serious risks, but at the same time we were very satisfied with the activities that we had been able to carry out. I’m very happy with what I’ve learned these last few weeks in the Himalayas. We’ve seen what things work and what needs to change. We have learned and personally I have grown as a climber. 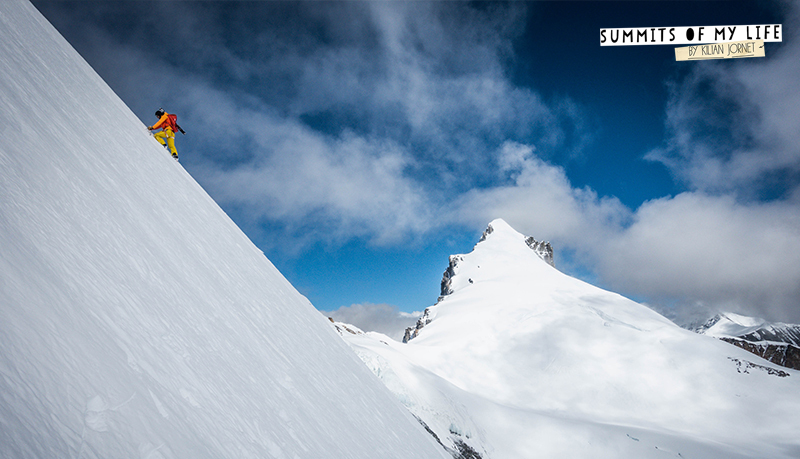 The expedition has left us feeling very positive in spite of not being able to reach the summit. It’s been a great experience that will be useful when we come back and we’ll try again in the future.